We believe in the collaborative approach to residential landscape architecture. 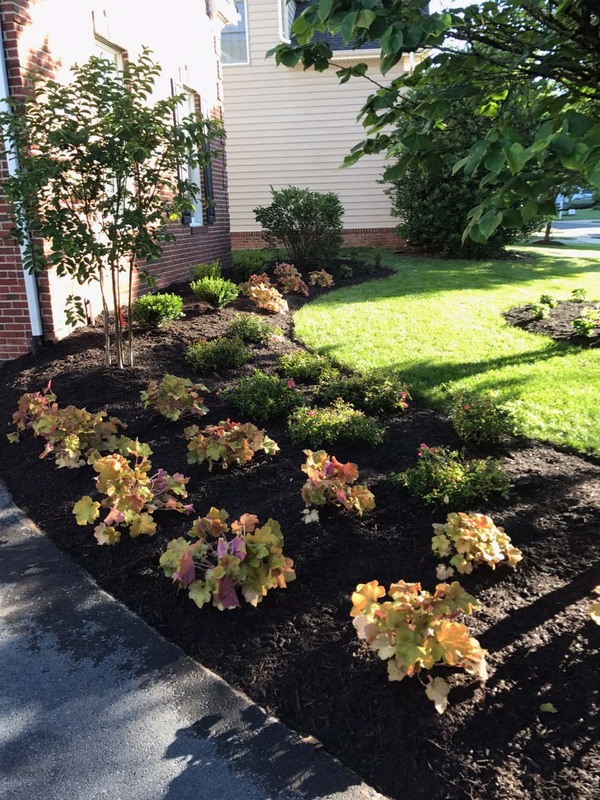 Located within the Belmont Country Club, golf course community, this front landscape renovation was design for an active family with limited gardening expertise. The intent was to design a low maintenance landscape that provided contrasting color and texture on a reasonable budget. Besides being aesthetically pleasing the plantings needed to be able to survive a hungry deer herd. 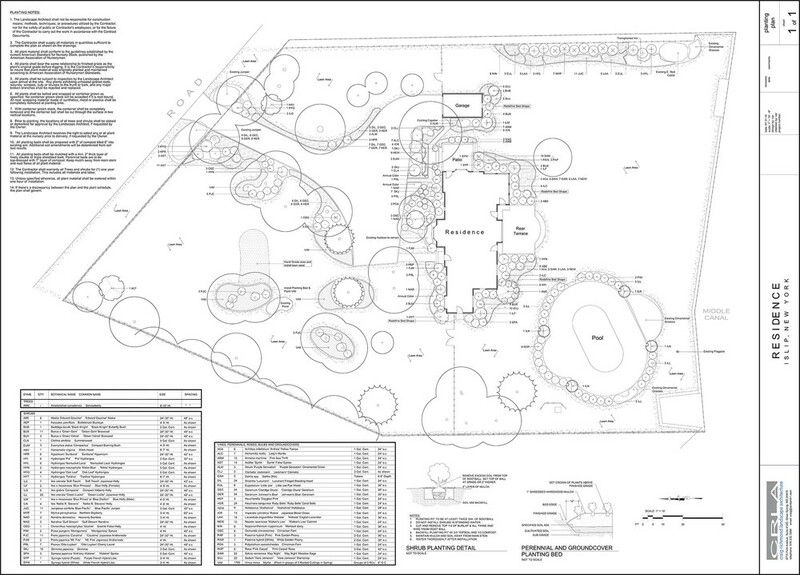 It was a pleasure to collaborate with the team at Smoot Landscape on this project. They always bring their 'A' game with customer service, material acquisition and installation. The project was initiated by the client’s desire to install a single garage space underneath the first floor. Because the site was confined it required some intensive drainage design. 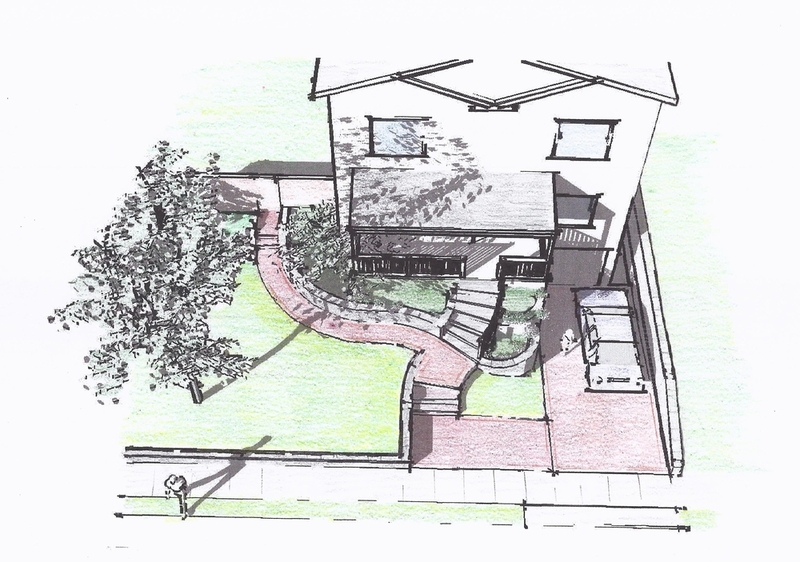 The retaining walls between the driveway and residence are terraced and curved to reduce the imposing grade change between the porch and the lowest point of the driveway. 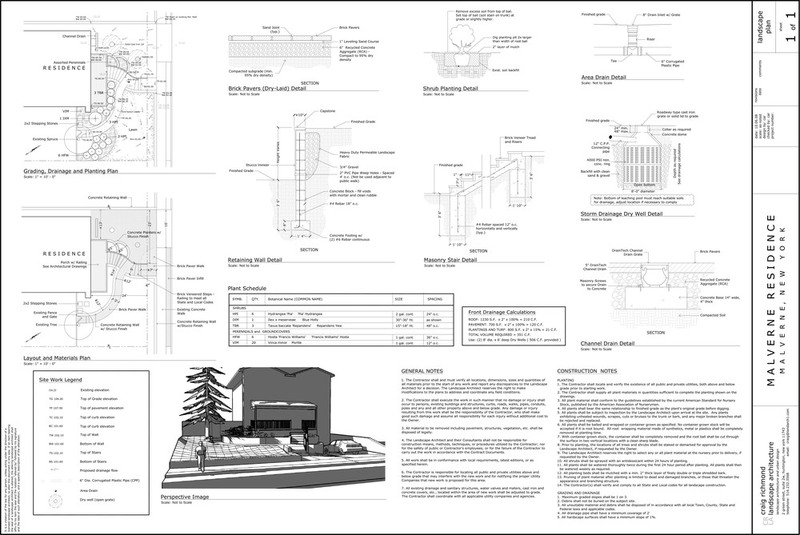 We were responsible for the design of all walkways, steps, retaining walls and storm water management. In 2012 this residence located along the Middle Canal on the Great South Bay was damaged by Hurricane Sandy. Unfortunately most of the trees and shrubs were killed by the salty storm surge. Thankfully one specimen Pin Oak survived and remains an important site feature. Our scope was to refurbish the patios and walkways, and provide a planting design that is adapted to coastal conditions, provides seasonal interest and requires moderate maintenance. The following images were taken approximately one year after installation, so there’s still some filling in needed. This Watermill Residence in the Hamptons involved realignment of the driveway, creation of an auto-court, rear terrace with outdoor kitchen, pool terrace with oversized spa, ornamental fence with stone piers, ledgestone steps, and low maintenance plantings. 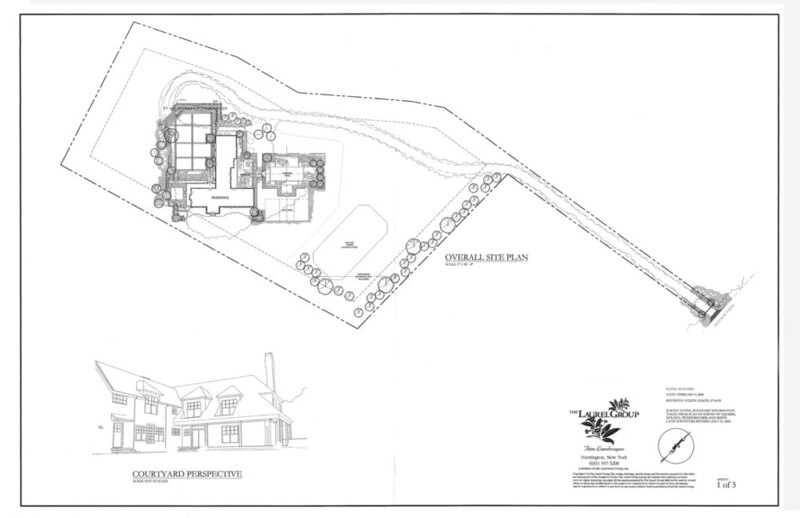 The property was nestled in an environmentally sensitive area on the edges of the Pine Barrens. Plant material selected had to be deer resistant because of the large local herds. The design and installation was done while working as Landscape Architect for The Laurel Group, Huntington, NY. This private residence is located in an exclusive gated community that is built around beautiful Converse Lake. 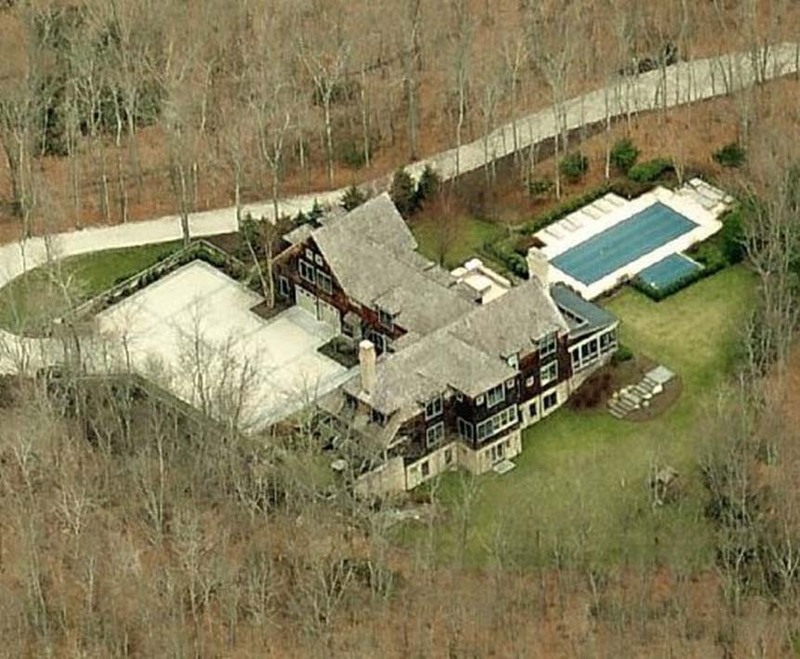 The community located 30 miles from NYC straddles the borderline between North Castle in Westchester County, New York and Greenwich, Connecticut. As the designer and project manager I was extremely challenged by the existing site constraints. The property had lake frontage and two wetlands and in a highly environmentally regulated and enforced area. To make matters even more difficult half of the dry buildable area on the site lay on ledgestone outcrop. The excavation contractor drilled and blasted stone for weeks to accommodate the homeowner’s indoor basketball court and swimming pool on the basement level. The blasted rock was used to construct the natural stone retaining walls and as accents on site. 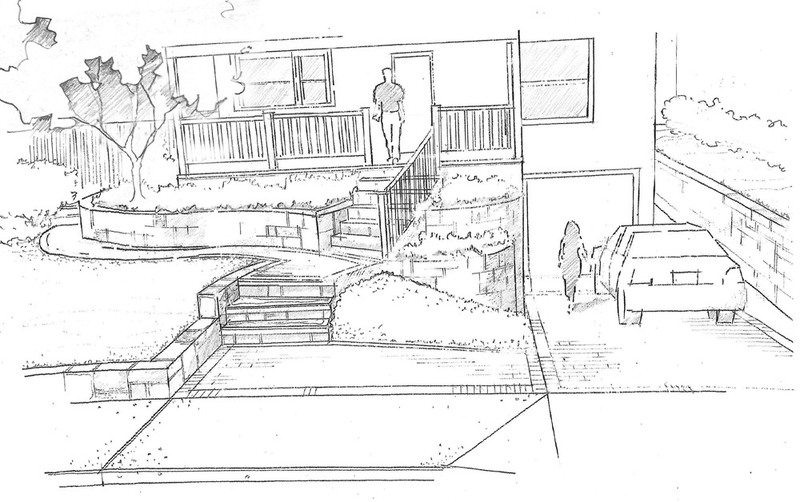 The landscape design was meant to flow with the existing topography as much as possible, which is the reason why the rear yard is terraced to minimize excavation and blasting. Most of the plant material specified provides either food or habitat for wildlife in an effort to offset some of the disturbance to the site. All storm water runoff from development is run through oil and sediment separators and bio-filtration gardens, and then retained in large underground infiltration chambers. 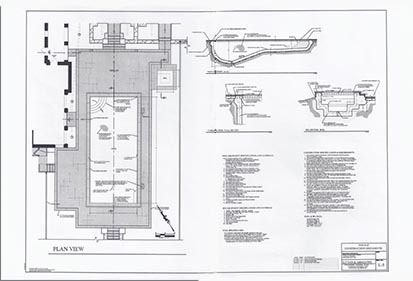 Designed while Project Manager for Jay Fain and Associates, Fairfield, Connecticut. 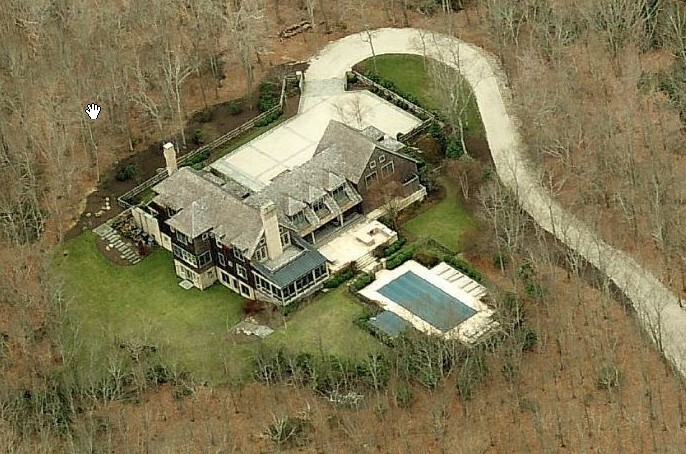 Aerial images by Bing Maps.